The spaces we occupy for worship has always greatly varied, from grand cathedrals, small chapels, homes, pubs and coffee shops. All these buildings elicit different emotions. In 2006 I visited the ruins of Cluny in France. The cathedral in Cluny was destroyed by the Huguenots in the 1500’s but was until then the largest church in the world. The portions left of the great cathedral are the abbey, a granary, and a bell tower. Walking through the space where the cathedral once existed you can stand next to the base of huge footings and just imagine the building rising above you. I love the idea of the grand building being replaced by nature’s vast cathedral. 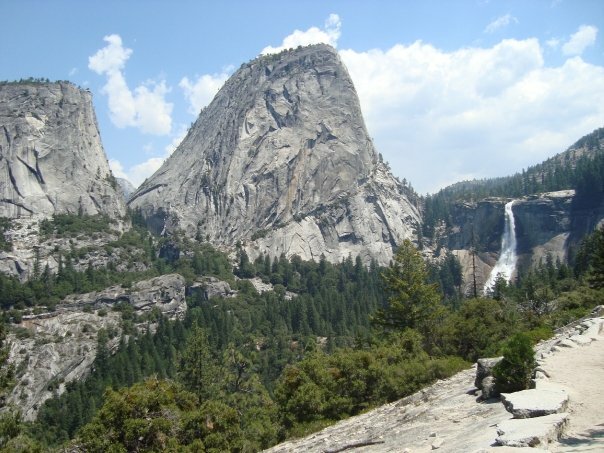 One of my favorite cathedrals is the vast open space known as Yosemite National Park. The valley floor has often felt like a sacred space, a cathedral with stone cliffs that draw your eye upward to the great open sky.